Finding Dr. von Heimburg’s document about my burn history was a stunner. For months after, I racked my feeble brain, wondering how that document could have appeared in a basement box I’d long since forgotten. Just how did a critical document I had never seen before GET in that box? Even more incredible was its likely fate — it was headed for the garbage had my god-sent friend Gloria not mysteriously saved it from extinction. To my my way thinking, it was a miracle document. After paying it due homage and digesting the very fact of its existence, I began to wonder what exactly it meant. First, in terms of my very survival as a pediatric burn patient. Second, in the memories it filled in and the gaps it left. I turned to Dr. Robert Lehman, a noted St. Louis surgeon. “Bob, can you help me interpret this report?” I asked, as I looked at its menu of debridement, dressing changes and skin grafting. “Oh, this was serious,” he replied with a knowing tilt of the head. It was a classic Dr. Bob gesture. The most medieval of the menu is, of course, debridement, a surgical procedure using forceps, scissors and other implements (of torture, I might add) to remove dead (or what they perhaps lovingly refer to as ‘necrotic’) tissue. Skins grafts are then transplanted to the debrided site. In reflex, I rubbed my thighs thinking about that — my thighs and rear end are my donor skin sites and still carry the precision scars of the scalpel, which cut perfect rectangles of skin from them. Thinking about it made me queasy. Of course, in the interim, I’d looked up the various measures of burn survival, like the R-Baux score which measures mortality in adult burn victims or the P-Baux score which measures mortality in pediatric cases. These various measures include some combination of the percent of body surface burned + the patient’s age and often including a smoke inhalation component as well as sepsis status. It’s all sort of compellingly macabre and all, according to Dr. Bob, irrelevant for me. In his pleasantly dead-pan manner he said, “I think, that at the time you were burned, the thinking was burn plus age. Looks like there’s all sorts of analysis being done today that would never have applied back then. I should say that the new analyses weren’t done then.” Hmmm. This is understandable. Not only am I old (!) but at the time I was burned, 911 was not even in existence. It was something of a cowboy world for burn care. There were no burn units, no Baux scores, no longitudinal studies. I didn’t even get to the hospital by ambulance. By all accounts, my parents drove me to the hospital, hours after the accident. That was standard operating procedure in the day. Taking Dr. von Heimburg’s report, my survival score was 12% total body surface area burned (TBSA) + age of 2 = 14% mortality. To me, those were fighting chances. And then, there was always contradictory information out there — “In the 1960’s, the likelihood of survival was only 50% in children with burns covering 35 – 44% of the total body surface area (TBSA), and few patients with burn sizes exceeding 45% TBSA survived. The average length of stay for the acutely burned child was 103 days,” writes Dr. David Herndon of Shriners Hospitals for Children. It made me think about my length of stay — somewhere past the 60 day mark — as well as my other doctor, Dr. Thomas Lynn. There were no records available from him. He died young, a stroke or heart attack according to his daughter and my high school friend Julie. Within two years of my accident, he was gone and I was referred to plastic surgeon Harold Hoops. By the time I developed interest in finding records, Dr. Lynn’s clinic was long since closed, the records destroyed. So here were the gaps again. Confirmation on nine procedures. But the story I remember put the count at about 20. Dr. von Heimburg listed only one skin graft. Looking at my leg, I know there were others. I see the cuts and feel the ridges It had to be the handiwork of Dr. Lynn, whose records are gone forever. “The body has memory,” Claudia Rankine says. I know it to be true. Anyone who has ever moved from here to there understands the challenges of upending a life or otherwise turning it upside down for a defined and usually unpleasant period of time. The longer you are in one place, the greater the likelihood that your stuff outplays, outweighs and overwhelms. Paring down and packing it up is not for the faint of heart. Reinforcements are often required. My move from a house of 20+ years was months in the making. More trips to Goodwill than I cared to count, dusty disposals in droves. And yet there always seemed to be another room to prune or box to plunder. That’s when I called Gloria, the undisputed master of the discard. I had reached my limit. To her credit, she knew this. “Gallagher, I got you,” she’d say before shoo-ing me from my home and, like a modern-day samurai, then ruthlessly used her weapons to jettison the clutter. It was a tedious chore, sorting through pictures or clothes that no longer fit or papers you’d just “hold-on-to-because” or reminders of life-gone-by. Gloria had the unique ability to only present me with the pertinent things; which along the way eased the emotions of letting go of things and taking only the necessary parts for a new life. And, then, there it was. A yellowed paper in a nondescript folder among mismatched things. “Attending Physician’s Statement,” it read in simple typeface, dated 3-9-1965. My hand shook ever so slightly. This was impossible. I had searched for documents related to my burns for years. St. Vincent Hospital told me they had destroyed the original records related from 1964-1965. Dr. Lynn and Dr. von Heimburg’s offices had long since closed and disposed of the old records. It was only from the office of Dr. Hoops, who took over my care around 1966 after Dr. Lynn’s death, that I received any sort medical records. But never, never anything from the original incident. I was looking at a document that shouldn’t have existed. One that in all these years, and throughout this search, I had never seen much less known was in my possession. Could it be that when my brothers and sisters and I cleaned out my parents’ home in 1997 after their deaths that this document was simply put in a box assigned to me? I was dumbfounded and spellbound at the same time. “Third degree burn of the right leg and buttock, involving 12% of the body surface area,” it read and then listed nine various procedures from December 2, 1964 through January 12, 1965, and six more office visits through March 9, 1965, conveniently offered at “no charge”. “Patient is still under Dr.’s care,” it concluded. This was Dr. von Heimburg’s invoice to the insurance company, Sun life Assurance Company of Canada. Sometimes when you are not looking, you find the very thing you need. This yellowed document confirmed the stories I’d heard and the memories I’d had. It’s one thing to believe something is true because you are told that, even when you can touch your own scars. It’s another to see and touch the documentation of it. A blurry baby’s memory is true. “Gloria,” I called out. “You are not going to believe what you found for me…….”. Imagine if my modern-day samurai of disposal had thrown it out? Instead, she saved something-I-didn’t-know-I-had for me. God bless Gloria. Next up: Dr. Lehman tells me my pediatric burn survival rate. When I called Dian Page at the Green Bay Press Gazette a couple of weeks ago, my hope was to connect the memories in my mind. For so many years, I have had pictures of my little self at the time of my burn accident but I’ve never been sure if these are real or “created” memories. It can be-devil anyone to wonder about these things — did this really happen to me or have I made it up? In my case, I need only look at the scars on my leg to know it did indeed happen. But how and why do I remember (or think I remember) certain pieces of the experience. That was my motivation for searching for Maggie, the Nurse. I had no idea what I would find. I was ready for anything. Except perhaps for the fact that I found Maggie and a great deal more. I didn’t set out to find someone’s Nana, someone’s mother, someone’s son, someone’s sister, someone’s friend. And yet all these people found me and there was a quite a story to tell. Maggie Glaser Conard was a pediatrics nurse at St. Vincent Hospital in Green Bay for some 30 years until her retirement in 1987. She did not recover from the massive stroke she suffered in 1988 and died at just 60. “I just wanted to let tell you that your vivid description of her (Maggie) brought her back to life for me. She was exactly as you described in everyday life; not just in work. She was crazy about her grandchildren and she made each and every one of us feel the way you felt. I thank you for this. You have made my night, my week, my year,” Maggie’s granddaughter Jessi Guenther wrote me from Seattle, Washington. Something amazing was happening. There is was. During my three-month hospitalization, I learned to read and at 3 years old, became something of a freaky genius for that day and age. It came back to me now that Maggie had been the one by my bedside, reading to me, teaching me the letters, encouraging me on during those long days when I was confined to a crib, secured with netting so I couldn’t get out and harm my recovery. Whether it was 15 surgeries or 20, I knew my treatment was painful and grueling. Suddenly, my memories were expanding, connecting. They were real. Once again, what I set out to find wasn’t at all what was there. Instead I found something deeper and richer. Yes, I found Maggie and the memories the beautiful memories she gave me. But now I understand the life she brought to so many people — her patients, her colleagues and friends, and her family. Thank you Maggie Conard. You have left behind an incredible legacy of healing and helping for so many of us. I am grateful to be a part of it. The light in the bedroom flickered and roused me from sleep. It must have been 3:00 a.m. I closed my eyes, hoping to fall back sleep. Zzzzt. The lights flickered on again but I defiantly kept my eyes closed. Annoying, I thought and rolled over, confident I could find sleep and avoid the flickering lights for the rest of the night. And then, the thought that completely woke me up flitted through my weary noggin: “As you read Saved by an Angel, you’ll likely notice more of the interactions you have with your own guardian angels,” author Doreen Virtue (www.angeltherapy.com) wrote in the book’s preface. Just a week earlier I started reading Saved by an Angel, somewhat sure it would be a quick read. I was wrong. Fourteen chapters are packed with individual, real life stories of people who, explains Virtue, have been saved or changed by angelic intervention. Although I’d heard a great deal about Doreen Virtue and knew she was as much as of an “angel expert” as any one could be — with a trove of angel-centered books to her credit — I had yet to personally read any of her material. 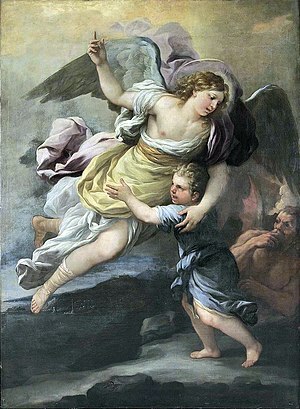 Although I consider myself a student of metaphysical books, angels had really not been my thing. But there was beauty in starting my angel reading with more than a hundred stories from “real” people. These first-person accounts span the gamut — from healing messages to help from mysterious strangers, from visions of deceased loved ones to answered prayers — and are tend short (a page or so in most cases) and simply written. For example, in a story called Illumination, a young woman sees an ongoing car headed straight at her and then sees the car illuminate in a “glorious light” and knows her life will be spared. It is. As she tells her story, she relays, “Not that I don’t believe in angels, but nothing like that had ever happened to me! I know now that my vision helped me more than I can understand…..” Sincere stories like this are not easy reads. After I’d read a story or two, I put the book down to think about them. What was the author’s motivation? Why would they submit the story for publication? In nearly every case, a single angel intervention changed someone’s life. The compiled stories are compelling and inspirational, not at all what I expected when I considered reading the book. Statistics aside, I enjoyed reading the real-life stories and felt a connection to each of them. And so there I lay watching lights flicker in the middle of the night, half-wondering if an angel was going to appear or some other strange hijinx might ensue. Slowly I folded the comforter back and crept over to the light switch. Here I discovered that someone had left the dimmer switch on just a tad, which more than likely create the electrical charges from the lights. Or had it? When you read a book about angels, it’s important to keep your mind open. Saved by an Angel by Doreen Virtue is available for purchase via Hay House (http://www.hayhouse.com/details.php?id=5614) and at www.amazon.com and www.barnesandnoble.com. From time to time, I review books from Hay House authors. www.hayhouse.com I received the book from Hay House for review purposes and was not financially compensated for this post. The opinions are completely my own based on my experience.